DiaryOne is a creative multimedia diary software for storing your private information securely. Do you always get headache for the safety and secrecy of your private paper-written diary? Are you tired of the diary with plain text and finding a better diary software? 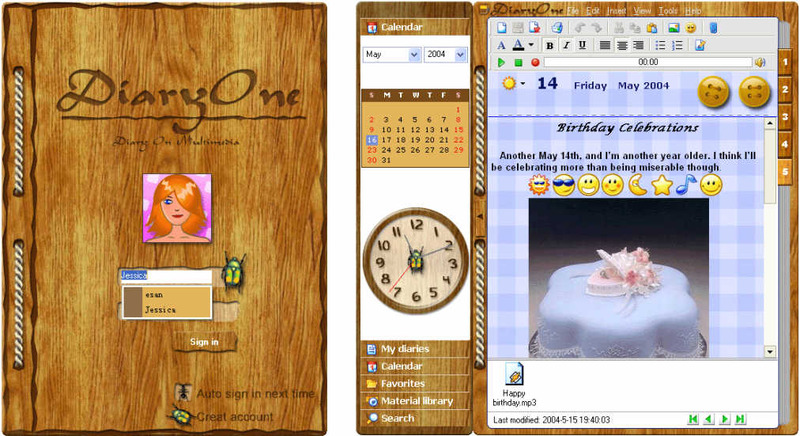 DiaryOne is a creative multimedia diary software for storing your private information securely. DiaryOne enables you to maintain a secure personal diary, using a stylish interface and full support for rich text, images, multimedia and attachments. The diary can be password protected and customized in design. It offers different stationeries and emoticons to choose from, as well as a clipart library from where you can drag and drop icons, images or illustrations into your diary pages. The program also comes with a built-in recorder, that allows you to easily create voice diary entries. Additional features include diary search, favorite entries, built-in calendar, backup, import/export and more. Multimedia information - DiaryOne software can store not only texts but also multimedia information including sounds, pictures, etc. Sometimes you don't want to type into the diary software, you can speak to DiaryOne and it can record your voice. That's the sound diary. 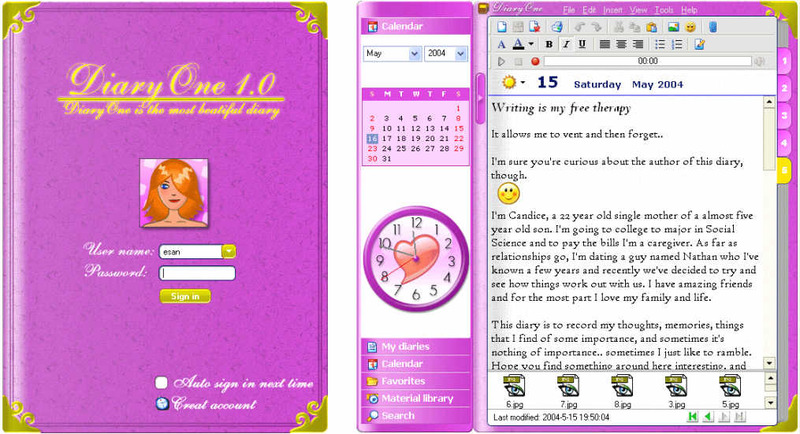 Secret diary - DiaryOne stores any information based on account. Before using it, you must create an account for yourself. The account is protected by the password you specified. All your privacy in this diary software will never be accessed by others. Secure diary - DiaryOne provides the security for your data. It also provides the backup/restore and the export/import solutions within the diary software. 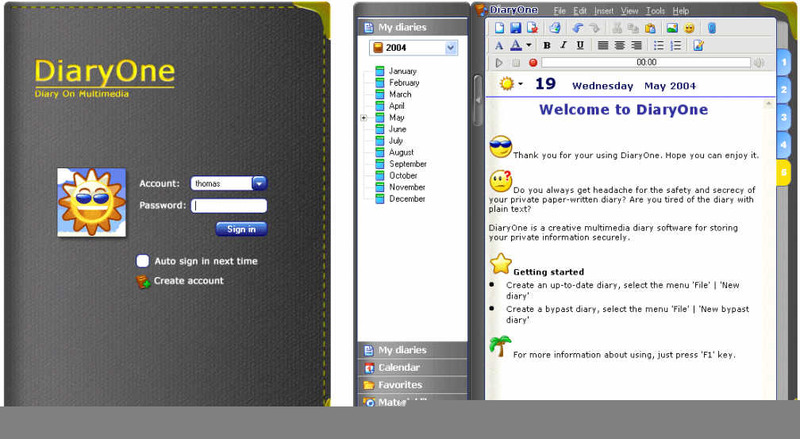 And more, DiaryOne provides more plug-ins for export your diaries to 'CD Diary', 'Web Diary', etc. Easy to use - DiaryOne is an easy-to-use diary software. All operations are simple and human. It also provides the spell checker tool for your diary.